Lets face it, the thing about New York Fashion Week is that most of young designers, who show this time around are a) not standing for anything substantial or b) do The Row / Céline knock-offs. Eckhaus Latta, however, is far, far different. Maybe because Mike Eckhaus and Zoe Latta are originally from Los Angeles? Maybe. But coming back to New York Fashion Week, their fashion show had messages – be confident. Be yourself, respect your body and rightfully so. Transparency and strong volume play made the silhouettes of sheer dresses look radical, while various knits clung the body comfortably. One of the models was pregnant, and the designers embraced that in a beautiful manner by dressing her in a button-down dress that exposed her belly. The models varied in age as well as in gender and race. Full diversity isn’t a trend, but the ultimate truth for Eckhaus Latta. 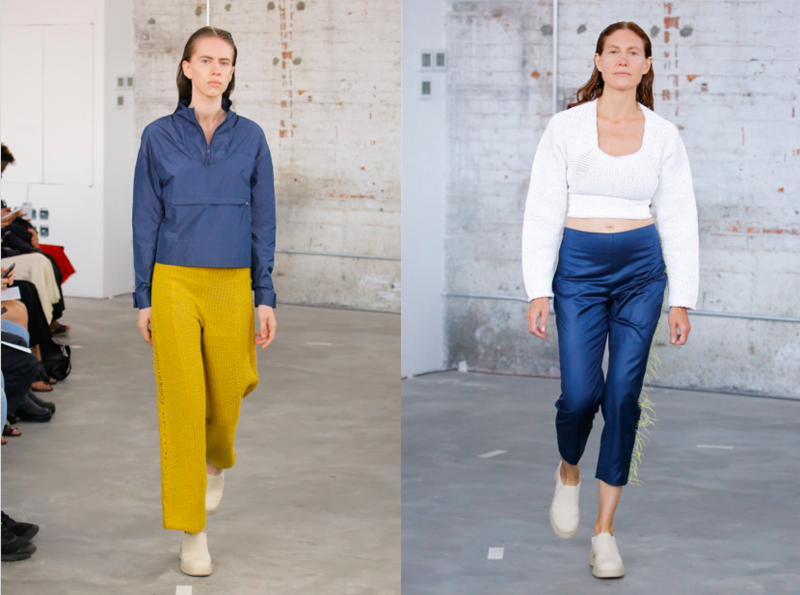 This entry was posted in New York, Trend Reports and tagged Eckhaus Latta, New York Fashion Week, nyfw, SS18. Bookmark the permalink.